No win no fee Solicitors - Do I Have A Case? 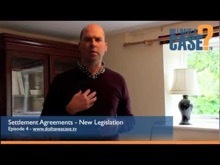 Welcome to www.doihaveacase.co.uk a trading name of Tom Street & Co specialist no win no fee solicitors. We specialise in Dispute Resolution and Employment Law and represent the majority of our clients on a no win no fee basis. By offering our specialist no win no fee service we hope to offer our clients access to justice in circumstances where they may, otherwise, not have been able to bring their claims. If you would like a solicitor to assess whether or not you have a claim and to let you know whether or not they can assist you on a no win no fee basis, please feel free to contact us on either of our numbers (0800 014 8727 or 07808 864607) or completing an online enquiry. If you think that you have a case and you would like to speak to one of our team who will be able to put you in touch a solicitor, please use one of the options below. If you are simply researching your case at the moment and want to find out more about the law please feel free to search our database below. We believe in providing information for our clients to assess whether or not they have a case. If you feel as though you may have a case feel free to browse our growing online library of legal articles. If you don’t find what you need, please feel free to contact us via the above number or by making an online enquiry and a solicitor will assess the strength of your case. We are solicitors based in Frome, Somerset and are able to offer legal advice and representation to clients throughout the UK in England, Wales, Scotland and Ireland and in all major cities including London, Manchester, Cardiff, Exeter, Birmingham, York, Liverpool and Bristol. 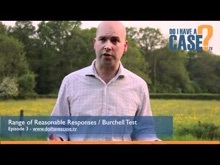 Tom talks about gross misconduct and the Burchell Test / Range of Reasonable Responses. Tom Street talks about Vince Cable announcing new legislation on settlement agreements.